Marlena Anderson is a member of the Nlaka’pamux Nation located in the Interior Region of British Columbia. Marlena also lives and works within the traditional territory of the Nlaka’pamux Nation at Teck’s Highland Valley Copper operations. 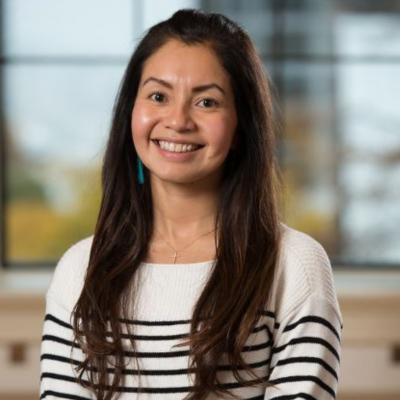 In her role at HVC, Marlena primarily works with local communities and Indigenous organizations in the areas of participatory development and investment, socioeconomic and impact management to improve social performance. For the last eight years, her role has also included facilitation of cultural awareness training for HVC’s workforce and community partners. Additionally, she supports the implementation of participation agreements with Indigenous organizations focusing on training, employment, recruitment and retention. Marlena is very connected to her culture and community with a passion for working with youth. She believes in the importance of empowering and investing in our youth to develop community capacity, protect culture and languages, and enhance our economic future through sustainable use and management of our land, water and resources.